As I was browsing through Pinterest, I found something for my home — magazine art. I decided that a little test work to see how easy, cheap, quick, etc. would be best for me. it's a sign -- a book cover with magazine art! 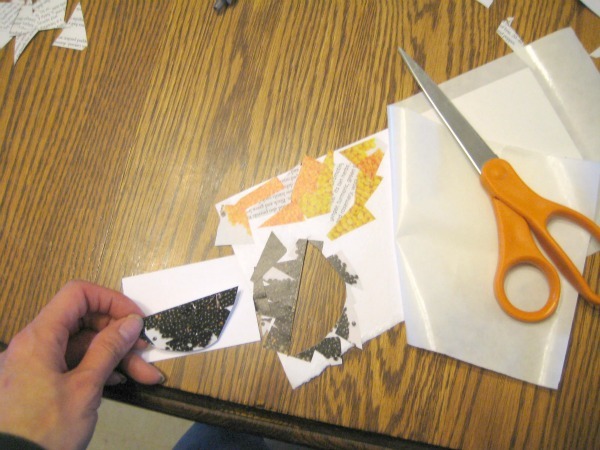 And while the original blog post gave instructions, I thought of a different way to make my magazine art. It’s similar to serendipity squares. 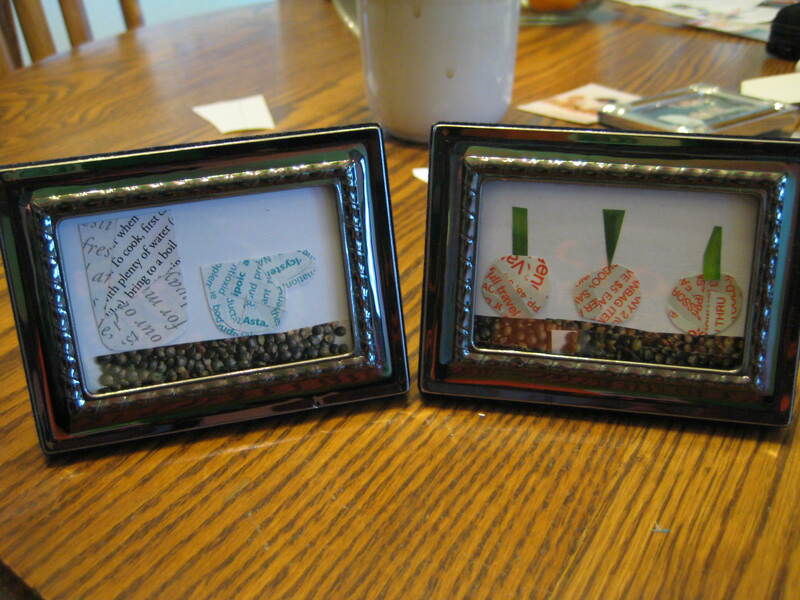 Have your idea — mine was to create kitchen-inspired art on a small scale. I flipped through a food magazine and found fields of color. I also found words in one particular color, and settled on making a bowl of oranges. 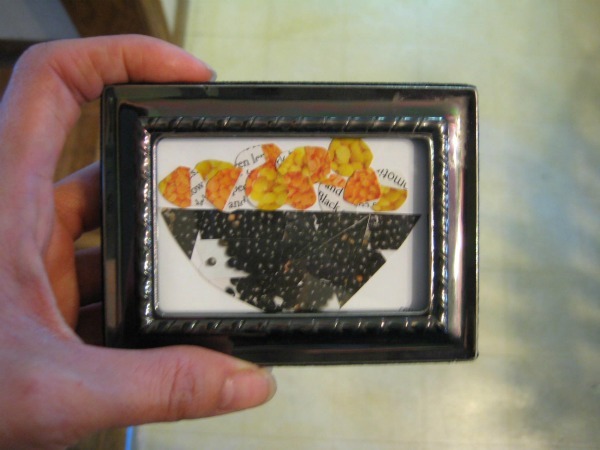 Choose your background cardstock and cut to the size of your frame. I used the paper that came with my frame to mark out the right size. Run a piece of paper through your Xyron. 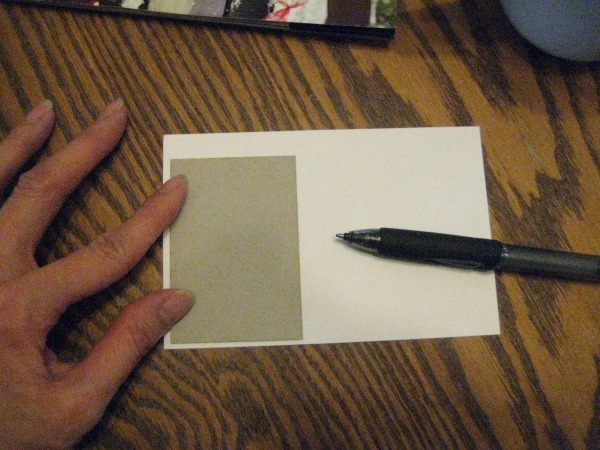 The cardstock should be as large as the objects in your piece. This will be easy to understand as you read further. 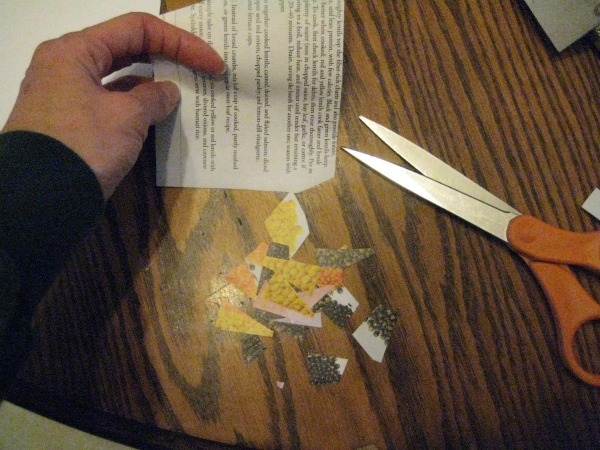 Cut triangles from the desired magazine page. 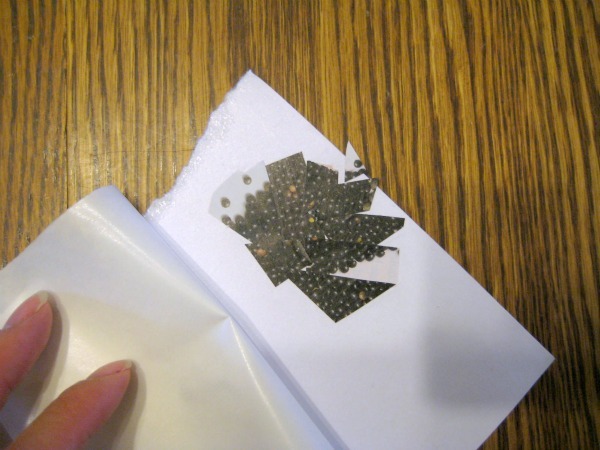 Peel away the backing and stick the triangles to the stickered paper. 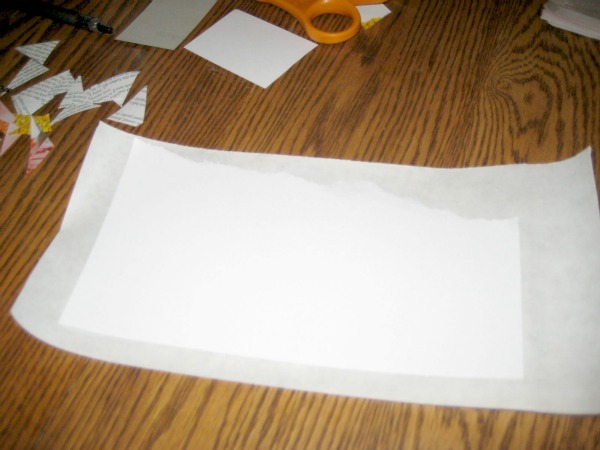 On the back, you can draw the object and then cut along that line, or you can just cut as you see fit with the eyeball method. I guess the symmetry and your personality determine the method you choose. 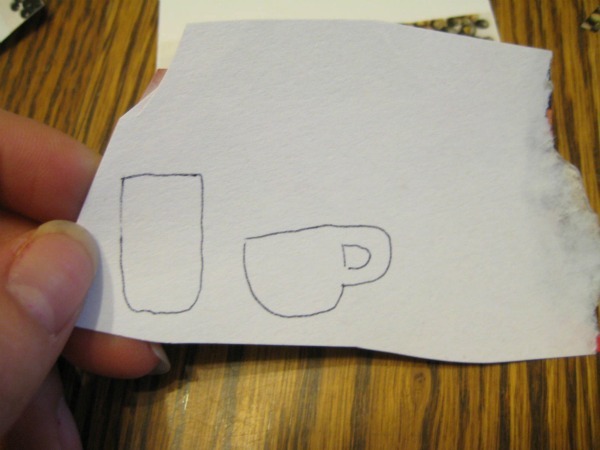 Once you cut the object out, stick it on the background. Repeat for all objects in your picture. Of course, if you like the look of one piece that you tore (like the book cover above), or don’t have a xyron, skip it! 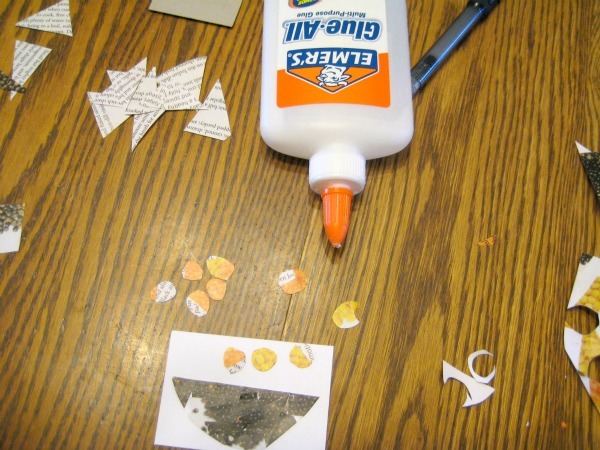 Just glue the pieces down to your background. Finished product, a bowl of oranges! I am linking to Making Mondays Marvelous, M.M.M. #87, at C.R.A.F.T. 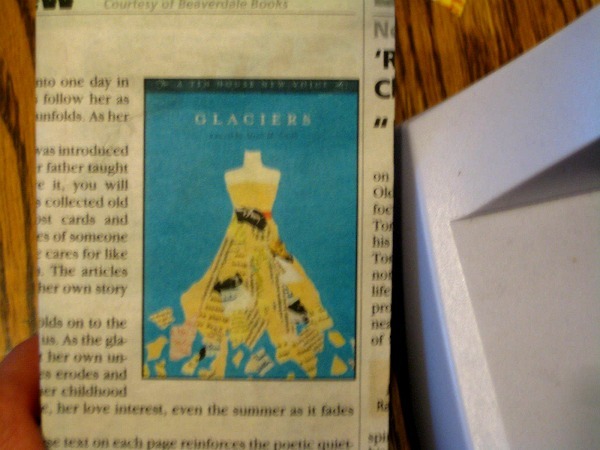 This entry was posted in crafting and tagged magazine art, papercraft. Bookmark the permalink.